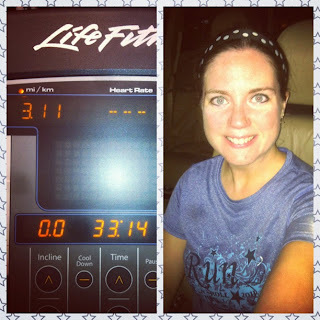 Road Runner Girl: Fitness Friday! Happy Fitness Friday! Here's a rundown of my workouts this week! Both my short runs this week were on the treadmill. Tuesday I was just lazy and didn't want to get out of bed to run that morning. So I opted to run after my hubby got home from work...it's too hot out at 5:30 so the treadmill was the only option. Thursday the plan was to run after the boys' T-Ball games at 7:30. I was going to run from the T-Ball field and was so excited for a new route! But here came a thunderstorm at the end of the games and so I had to head back to the treadmill. The neat thing was while I was running I was also watching the Olympics track and field events. Made me feel really slow lol! 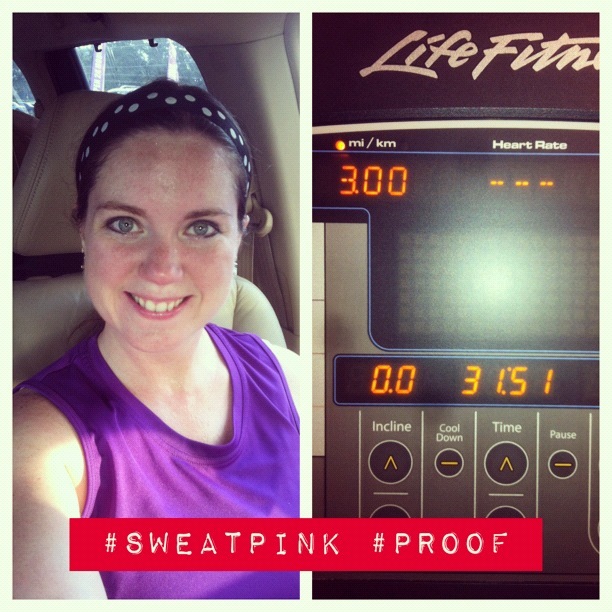 So to evaluate: I got my runs in this week even though they were on the treadmill. I've got my core work in but really need more strength training. It's tough right now because I can't go to the gym since there isn't any child care. But once school starts...gym here I come!!! 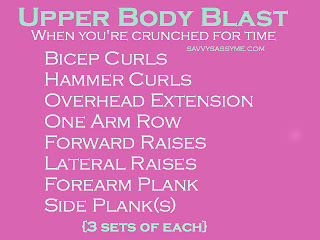 I wanted to share the workout I did this morning with you from my fellow Sweat Pink sister, Kacie at Savvy Sassy Me! 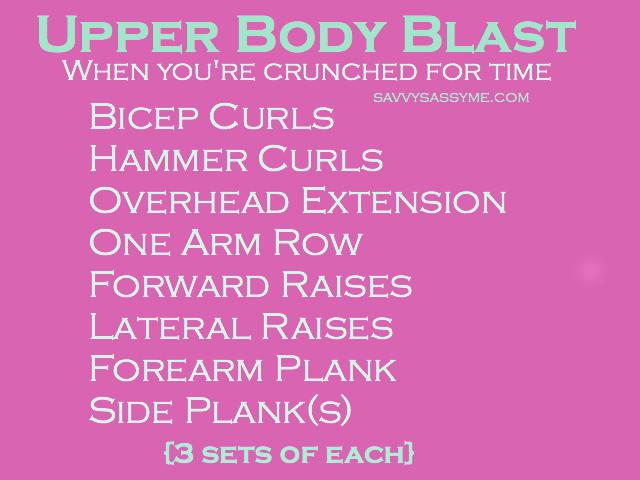 This was an awesome workout because I could do it from home with just dumbbells! Thanks Kacie! This is one of those workouts that I pinned on Pinterest so I can do it again and again! I LOVE pinning new workouts!!! Tomorrow I'm running 10 miles with the Sole2Soul Sisters! This will be their first double digit run! I love feeling their excitement!!! There's still time to enter my Bondi Band Giveaway!